Once again, as a new year kicks off, we take a look back at the best albums from last years offerings. Find out what some of our reviewers have selected as their favourite New Releases and Reissues of 2018. It continues to be a great time to be a jazz aficionado. Not only is jazz continuing to hit the mainstream, with some great recordings from Kamasi Washington and from Sons of Kemet keeping the music in the public ear, but also widespread Media interest in talented players like Nubya Garcia, and some wonderful reissues and discoveries of jazz’s heritage. My choice of ‘best of’ recordings focuses on CDs that have been released this year and that I have had the pleasure of reviewing. Some of these are clearly in the jazz tradition while others are a little more left-field but nonetheless pushing the boundaries into which jazz is developing. Certainly anyone who has been to jazz festivals or gigs this year couldn’t fail to have noticed how ‘mainstream’ the use of electronics and effects has become across all styles. So, it is inevitable that my first two choices seamlessly merge effects with wonderful playing or singing: Arve Henriksen (of SuperSilent) making his trumpet sound like a wooden flute in his accompaniment to Janne Mark’s captivating singing, and the beautifully textured guitar work of Eivind Aarset perfectly complementing the warm, romantic tone of Andy Sheppard. Elsewhere, Samo Salamon continues to coax the most amazing sounds from guitars (with and without effects). I also really enjoyed the guitar playing of Loizos Pafitis and the way that his group produced a set of elegant tunes that have the feel of jazz standards. Two sets that really caught my attention came from an established large ensemble who have been releasing classic recordings with each outing (the marvellous Scheen Jazzorkester) and the recently graduated Giles Thornton whose compositions for his big band belie his years. I particularly liked his arrangement of a classic Joni Mitchell song and Liane Carroll’s heart-rending delivery of its poignant lyrics. Another ‘new’ artist on the scene is Line Falkenberg – her debut is a marvellous set, featuring awesome sax playing and she is partnered by Hayden Powell’s world-class trumpet playing. Two marvellous live sets come from groups that feature some of the best players on the scene today – Arild Andersen teams up with Paolo Vinaccia and Tommy Smith, while Louis Moholo-Moholo calls on the talents of Alexander Hawkins, Shabaka Hutchings, Jason Yarde and John Edwards to celebrate a history of South African jazz. Both sets perfectly capture the thrill of live performance. Last but not least is a group I’ve seen live a few times and they never fail to captivate. This is Snowpoet’s second release and is even better than their first –while it might be not immediately strike you as jazz, there is such subtlety and sophistication in the song structures and the vocal delivery that you’d be hard-pressed to file it under any other genre. 2018 has been a brilliant year for top notch Stateside releases with all my favourite artistes producing music of outstanding quality. Dave Douglas and Chris Potter move steadily upward towards the pantheon of modern jazz greats whilst Lovano, Redman, Scofield and Mehldau remain consistently brilliant. The wealth of new talent continues to amaze and though one can’t hear every new release I’ve heard enough to convince me that the quality of jazz innovation and performance is in a healthy state ; all it lacks is more adherents. The `from the vaults` event of the year has been the re-discovery of a lost Coltrane quartet session of music from what many would argue was his `best` period. Difficult to work out what is new and what is re-issue. Does it matter? This was a year of ‘lost’ recordings: Coltrane, Garner, Mingus, Monk, Solal. All I can say is: keep looking! Another year that produced some great music, which let's face it we do now expect as the norm, and indeed it has once again been difficult to narrow down the selection to the albums listed above. 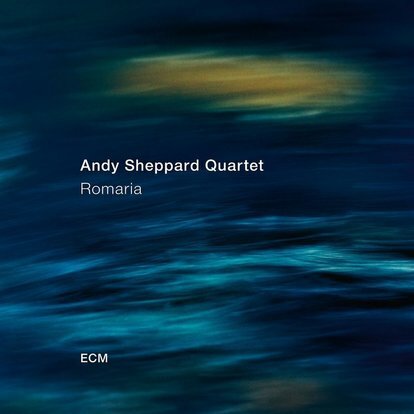 Again the bulk of my listening has been new releases and much of the years output from ECM Records, and chopping down their recordings of 2018 to just five albums has been extremely difficult, and it therefore with regret that Andy Sheppard's Romaria just missing out. Scottish musicians are strongly represented in my new releases with excellent recordings from pianist Fergus McCreadie, drummer Alyn Cosker, the SNJO and new tenor sensation making her debut album Helena Kay. Re-issues are becoming somewhat of a thorny ground, with both the Miles and Trane albums officially released for the first time having been buried or available as bootlegs, whilst the Ornette Coleman tracks are pretty much indispensable and the huge 21CD set of the AEC & Associated Ensemble contains some wonderful music for those with the budget and stamina for such box sets. Lots of new British talent on display here; Helena Kay’s album is a refreshing take on the tenor trio, more Land and Rollins than Brecker and Coltrane, Lorraine Baker’s tribute to Ed Blackwell is characterful and accessible, and Camilla George and Mark Kavuma breath new life into the tradition with their zesty releases. Some great stuff as well from more established talent; Jeff Williams, Andrew Bain and Julian Siegel all presented highly individual and energetic takes on post-bop. Dave Mannington and the Bansangu Orchestra’s albums were both highly individual and eclectic. From the States, Gene Jackson and NYSQ demonstrated how much life and excitement can be found by addressing the standards tradition with sufficient imagination and talent!